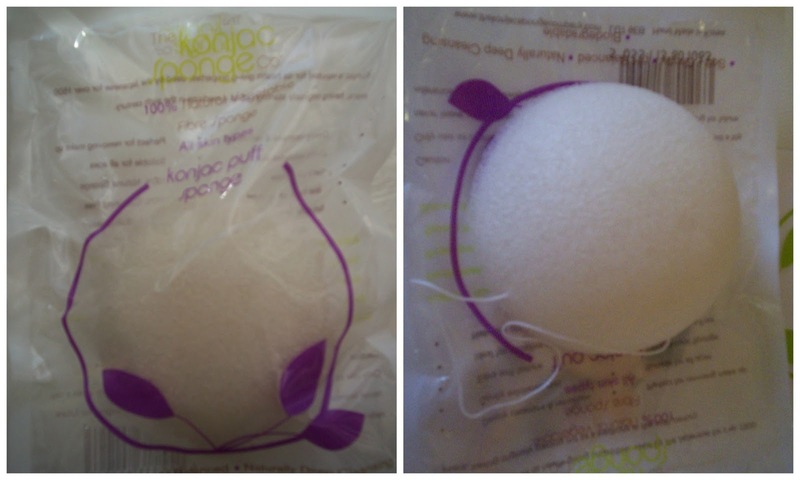 Have you tried Konjac Sponges? If you have not heard about Konjac Sponges they are 100% natural because they are made from plant fibres (Konjac potatoes). I had to try one for myself so I purchased the Original version. The sponge is dome shaped and easily fits into the palm of your hand. The sponge has a net structure and is extremely soft and squidgy, perfect for delicate sensitive skin types. Apparently there is no need to use additional cleansers with the sponge you can simply hydrate it with water and cleanse away dirt. I prefer to use a cleanser as I was not convinced I was removing all my makeup. I admit this may just be my mind playing tricks on me but it just feels wrong to only be using water. Overall, I prefer to use the sponge instead of my usual muslin cloth. I am really impressed by how my skin feels after using it. It is a pleasure to use the softness is wonderful making it perfect for eczema suffers. Has anyone else tried these sponges? I've never heard of these! :) I use the Sephora brand scrubblet, and really like it. Very interesting! Thanks for sharing, it sounds fab. I've never heard of this type of sponge before, sounds very interesting! I like that it can be composted. I have heard of konjac sponges but didn't take the time to really find out more about them until now. Thanks for this info! I like my cleansers to be VERY VERY gentle.